They are trendy, they are hot and most of all they fit you! So dig in! In this set you get two high-quality custom made t-shirts with unisex design. 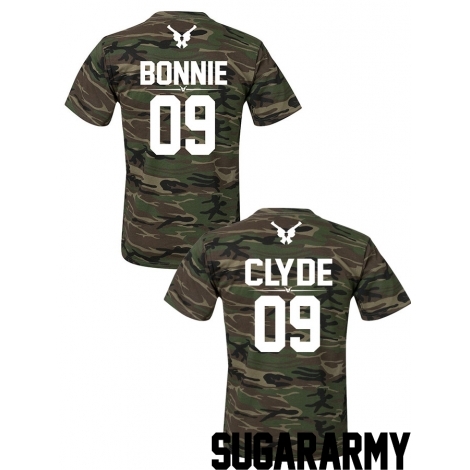 Both t-shirts come in various design, custom print number and a bit difference in the outlook of Bonnie’s t-shirt, where roses interlace the number on the back. These t-shirts match together just as you and your loved one do so. It’s like a love story for bad boys and bad girls. And in this story he will protect her, and she will encourage him alongside. 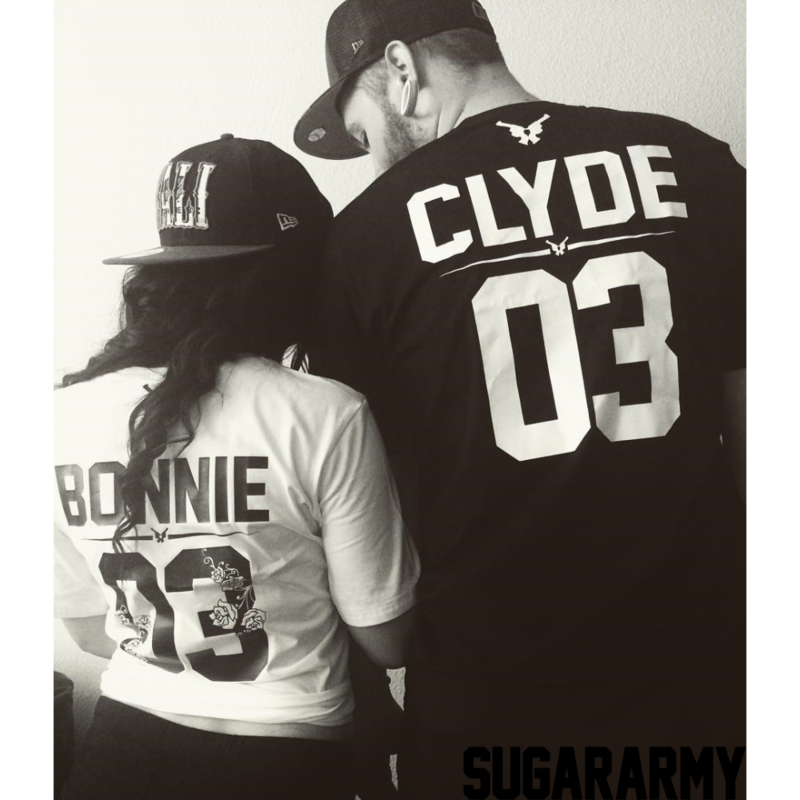 Just like the story of Bonnie and Clyde- romantic, fabulous, great, dangerous and exciting as well! Don’t go and rob a bank, but be as passionate as those two were! 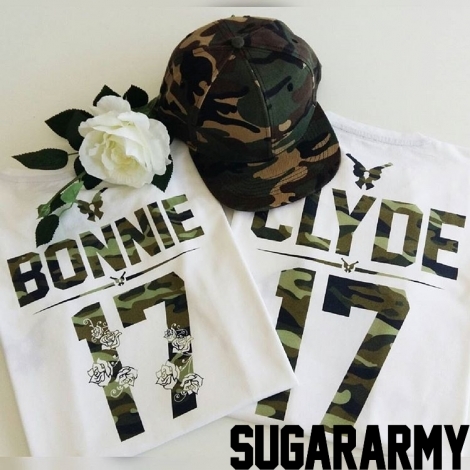 ✔ The hottest trend this summer - FLOWERS - is featured on the numbers of the BONNIE t-shirt and it looks absolutely amazing!